3. Remove the opitical disk drive. Remove one screw securing the optical disk drive. Pull DVD drive to the left and remove it from the optical-drive bay. 4. Remove all (16) screws on the bottom cover. Remove the keyboard. 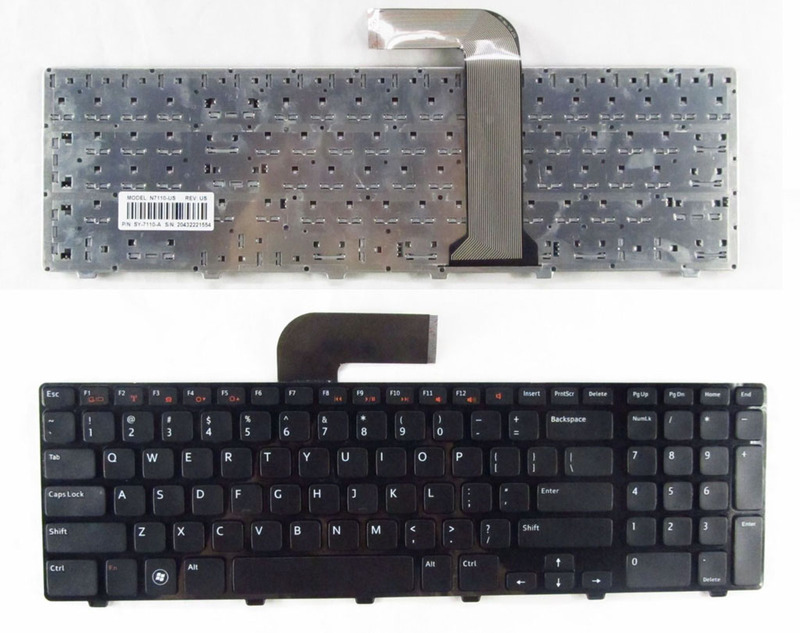 Please refer to How to remove Dell Inspiron N7110 Vostro 3750 keyboard. 6. Remove the palm rest from bottom case with a piece of soft plastic..
7. Remove two screws securing the cooling fan. Disconnect fan cable from the motherboard. Lift up and remove the cooling fan.. 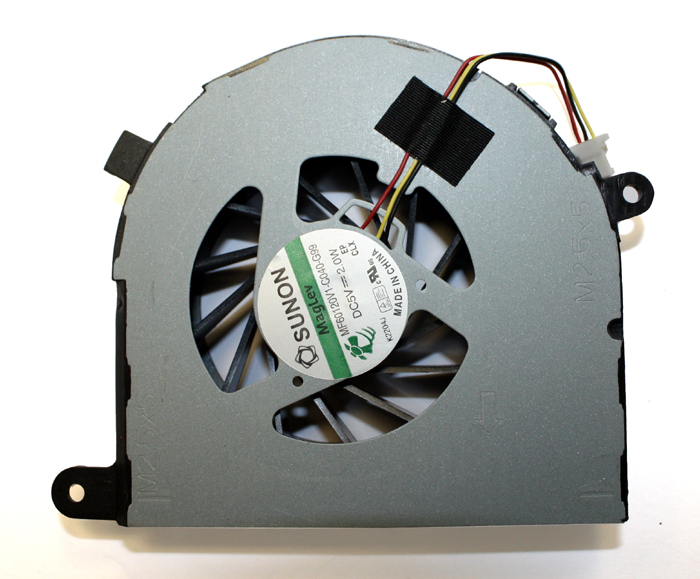 Reverse the procedure to install the new Dell Inspiron 17R N7110 Vostro 3750 fan and assemble the laptop.